Red Beauty is a 7 yo, 16.1 hand Dutch Harness Horse possibly Saddlebred X. Super Chrome and Super Mover. Great on trail and foxhunting, goes English or Western. 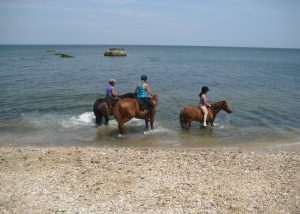 If you have your own horse and would like to arrange a trail ride, I can be your guide around the farm, $100 per person for up to 2 people, $75 pp up to 4 people. Full Board $650 per month, includes hay but not grain. 24/7 turnout. Ideal for horses on layup or retirement. Training Board $1500 per month all-inclusive, 24/7 turnout, hay and grain, and 3-4 training rides per week. 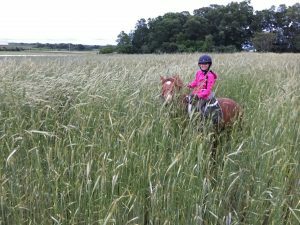 We specialize in turning around green and naughty horses and ponies in a matter of months, as they can get experience facing all kinds of “terrors” on the farm including the woods, loud machinery, blowing plastic, as well as jumping, dressage, and eventing training. Happy to get horses ready for a more lucrative sale or lease, bombproof, etc. 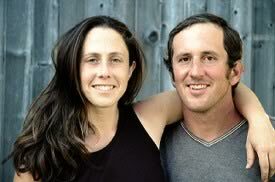 All equestrian activities are overseen by owner Eve Kaplan-Walbrecht. 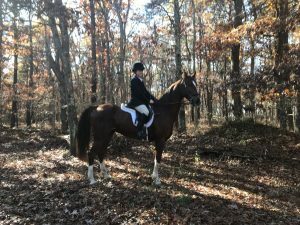 Eve has been riding for 30+ years and has taken several horses she trained up through the levels of eventing and dressage. 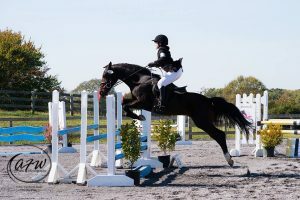 She is an active competitor in 3-day eventing at the Novice level. She has foxhunted all across the USA as well as Ireland and England and has her colors with The Smithtown Hunt. We currently have four 1 year old Royal Palms for sale live, $75 each, breeding pairs $150. SORRY, we are not currently raising turkeys for Thanksgiving. Our turkeys are a strikingly attractive and small sized turkey variety, grayish-blue feathers. They are veryhardy and are also able to fly! Heritage turkeys are breeds that have been raised on farms in the US for hundreds of years (the turkey is one of our most important native birds! ), and were close to extinction because they grow slowly and are not raised in factory farms. 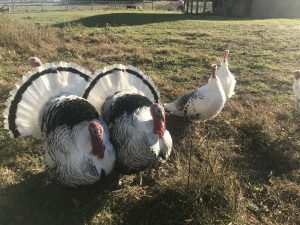 Each bird matures slowly over 6 months, as opposed to just 3 months for a Broad Breasted White turkey, a commercial meat turkey that cannot even reproduce naturally! 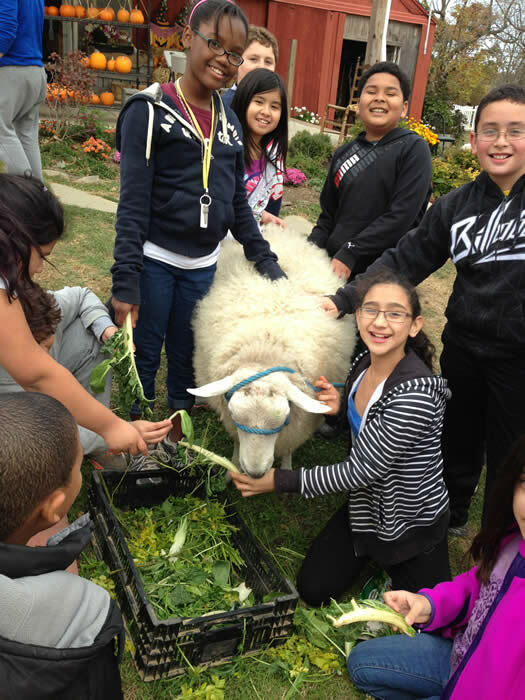 It’s true that we grow mostly vegetables, but we know first-hand that farm animals are irresistable. If you come to the farm, you’ll see some of these guys hard at work eating, playing, or maybe sleeping. We don’t consider our farm animals pets – everyone has to do their share of the farm work – but we do consider them a crucial part of our farm “ecosystem”. We have a flock of two purebred Border Lecicester ewes, three crossbred ewes, and one show-winning purebred ram named Winston, descended from Infinity who I brought back from Maryland on a charter tour bus (that’s another story). 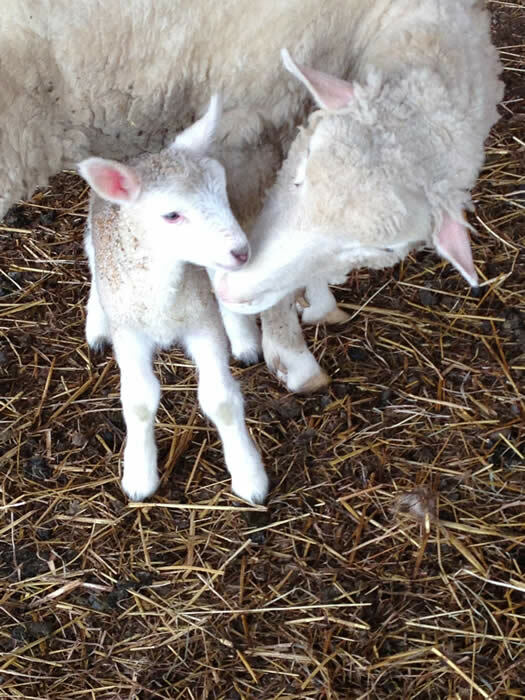 We raise 3-6 lambs each year, which are for sale between March – December. The purebred lambs can be registered and shown, and the others are great for fiber, pets, or 4-H projects. FOR SALE: Lambs are $200 each. Please contact us to see them if you are interested. We also sell RAW FLEECES for $75 for approximately 8 lbs of fleece. The fleece is soft and lustrous, with a long staple and nice crimp. Suitable for spinning or felting. We sell WHITE ROVING for $14 for 4 ounces, and can ship through the mail (postage additional). Border Leicesters are known for their long, soft wool that is excellent for hand-spinning. They aren’t very common in the US compared to many commercial breeds, and are considered a heritage breed. The Border Leicester breed was founded in 1767 in England and were introduced intothe United States by George Washington, who kept a small purebred flock of Leicesters and used the rams extensively in his flock of 800 head at Mount Vernon. However, the decline of the wool carpet industry in the 1940’s resulted in reduced numbers of all longwool breeds including the English and Border Leicesters. By the 1970’s, increased interest in handspinning and other crafts had rekindled interest in these unique sheep with their distinguished heads and long, curly, lustrous wool. Thank goodness! 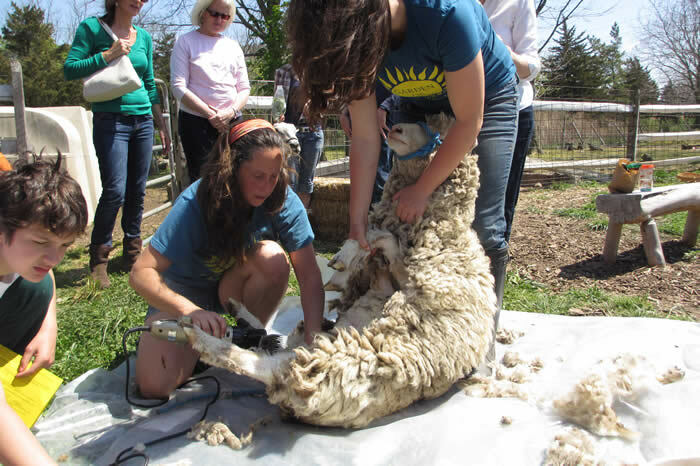 AT LEFT: shearing our own sheep! 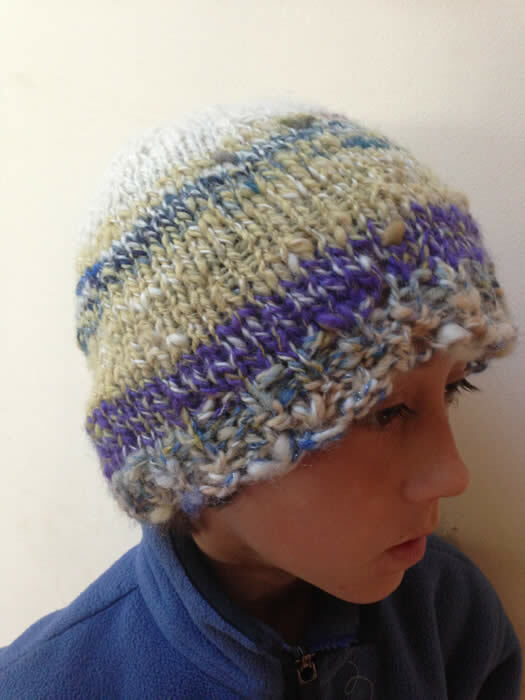 AT RIGHT: a hat knitted from handspun yarn from our sheep’s fleece! We have a flock of about 1500 laying hens on the farm at most times of the season. Sometimes we downsize in the wintertime and the older chickens are bought by neighbors for stew. Does this sound coldhearted? Do you eat chicken? 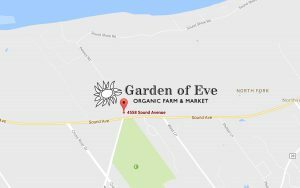 We feel that both the animal and vegetable food webs are an integral part of the farm ecosystem. Our chickens are housed out in our fields where they spend their time eating clover that Chris has planted as a cover crop (to add nitrogen to our soil), bugs, and digging holes in the dirt. Anyone who has tasted eggs from pastured chickens raves about the difference from store-bought eggs – the yolks are very orange and the egg has a lot more flavor. Our eggs are higher in Omega-3’s as well (this comes from the chlorophyll in the greens the chickens eat) so they’re better for you, too!